My fave Yakiniku Smokeless Grill Buffet is opening it's third outlet, are you ready for the goodness West Avenue?!?!? 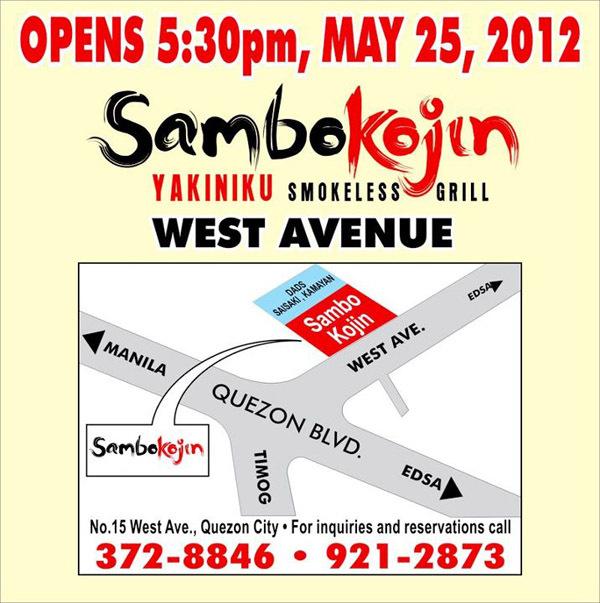 Be one of the first diners as Sambo Kojin opens its doors on May 25, 2012 at 5:30 PM. The Sambo family is just getting bigger; watch out this year as they open more branches to serve you.